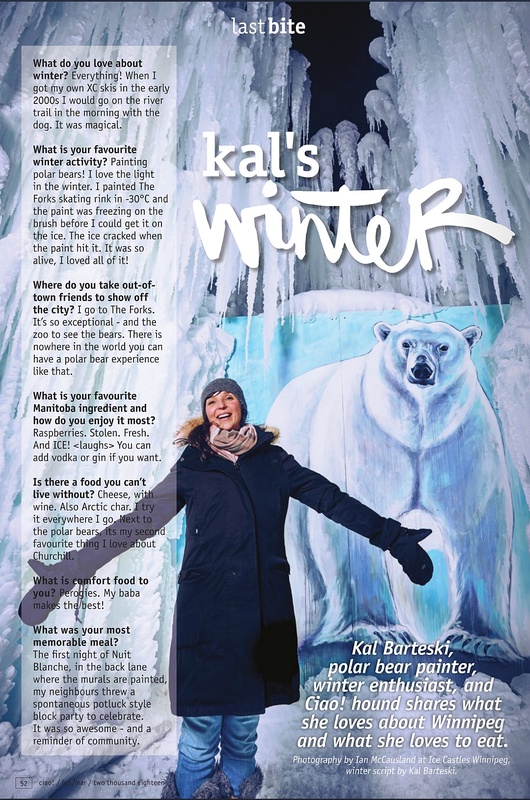 This was the fourth time I photographed Kal Barteski for a publication. For over ten years since the first time I met Kal. I’ve been a fan of hers ever since and I always leap at the chance to photograph her. This time it felt like I was photographing her in her natural habitat, Winter! 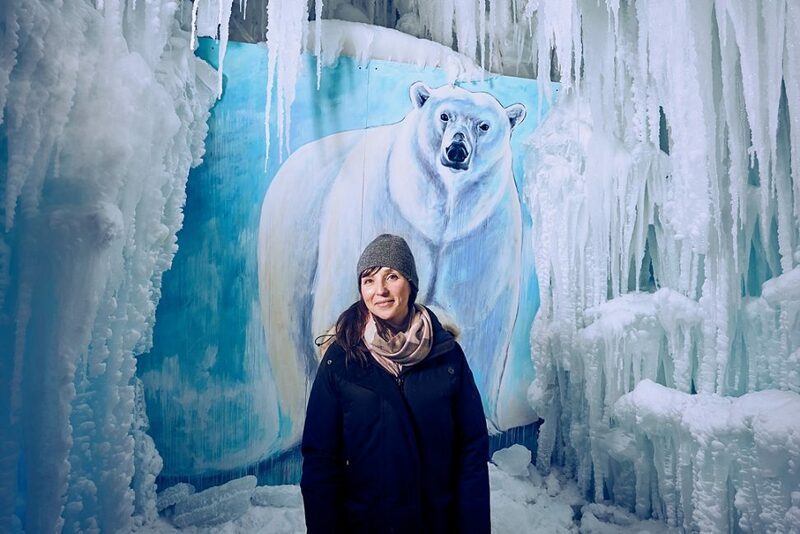 We met up with her on the opening evening of the Ice Castles at the Forks, where the owner revealed he happened upon Kal painting on the site during the 2017 Canada Summer Games back in August and ask if she would be interested in creating art for the the Ice Castle. He had no idea of Kal’s passion for the polar bear! Talk about fortuitous! You can read more about her in the profile and I’ve included an outtake I especially enjoyed. The bear almost feels like he’s peaking over her shoulder. 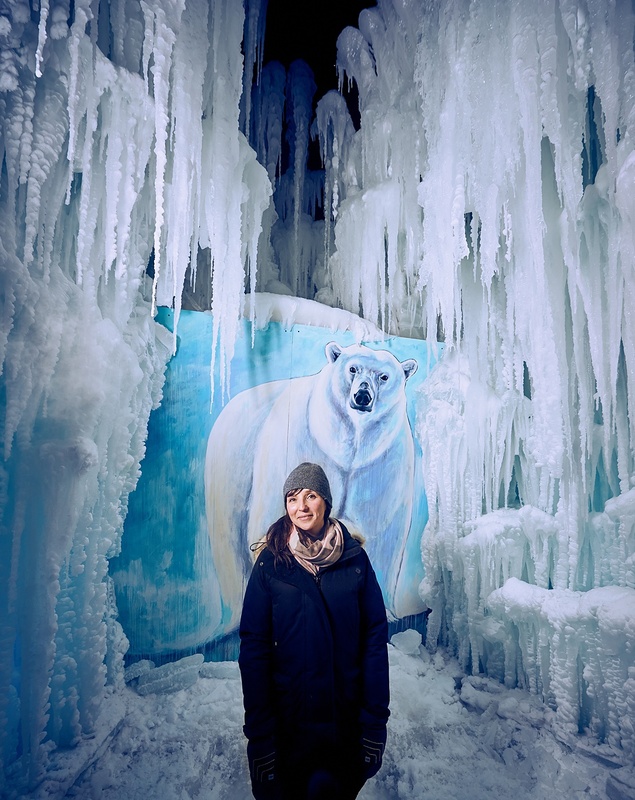 You can’t have Kal without a Polar Bear!